Create virtual monitors of varying sizes to meet your work requirements: for example, a large monitor for your primary work, and mid-size monitors for web browsers, document viewing and spreadsheets. 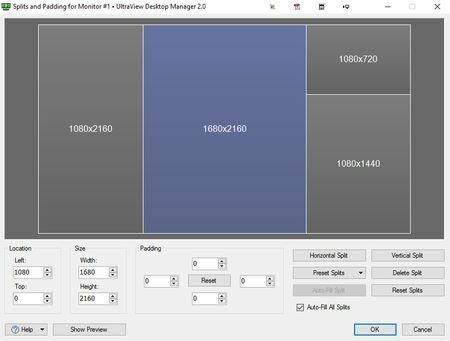 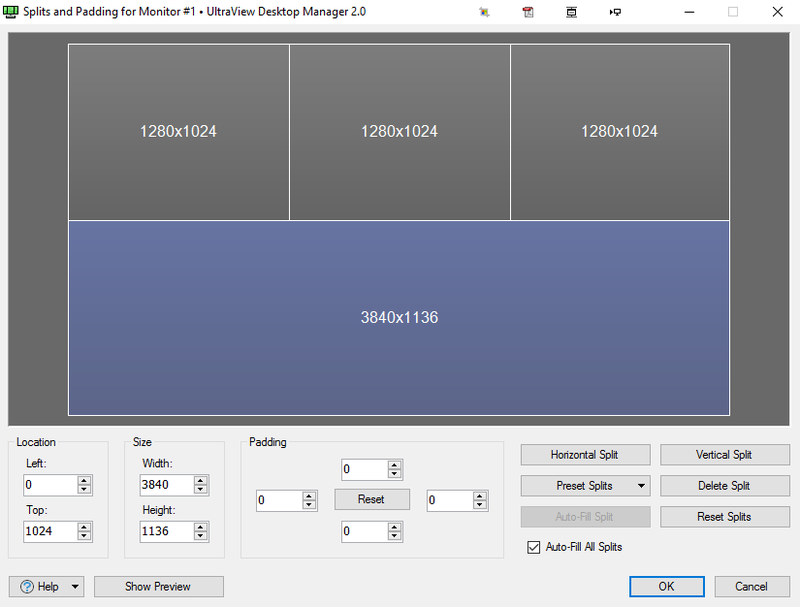 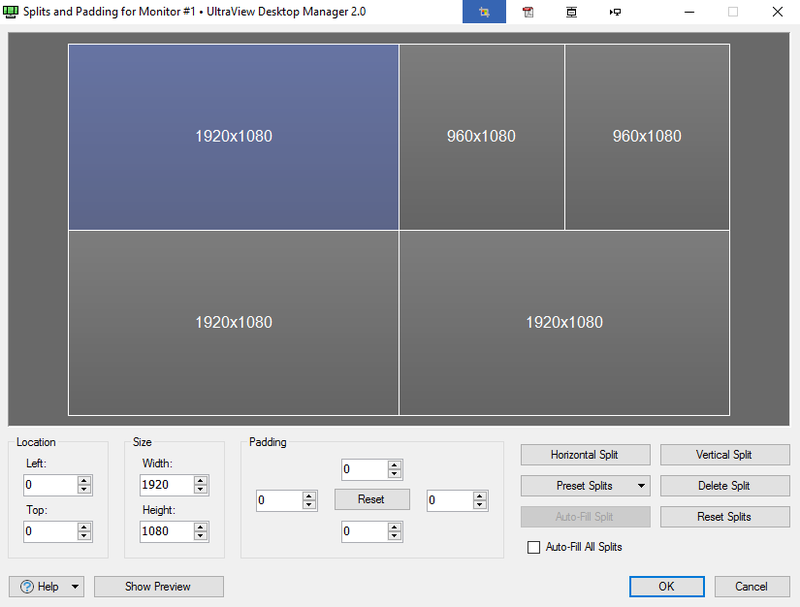 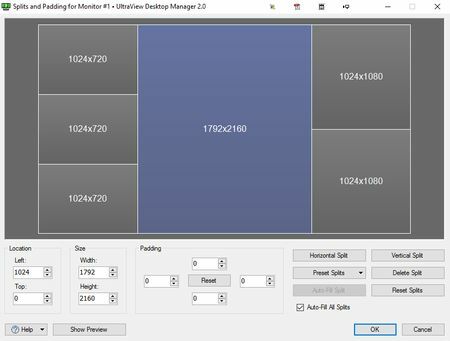 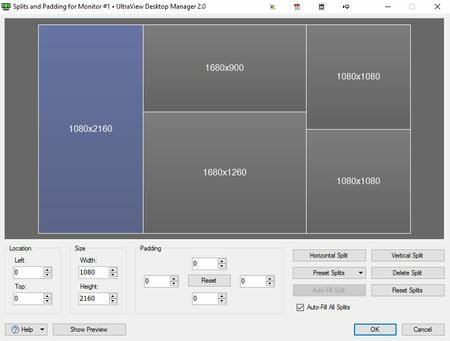 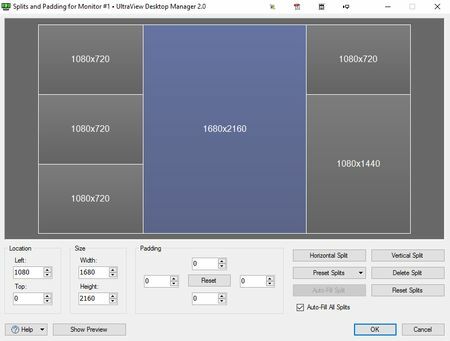 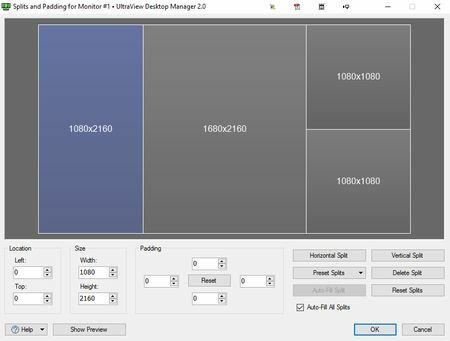 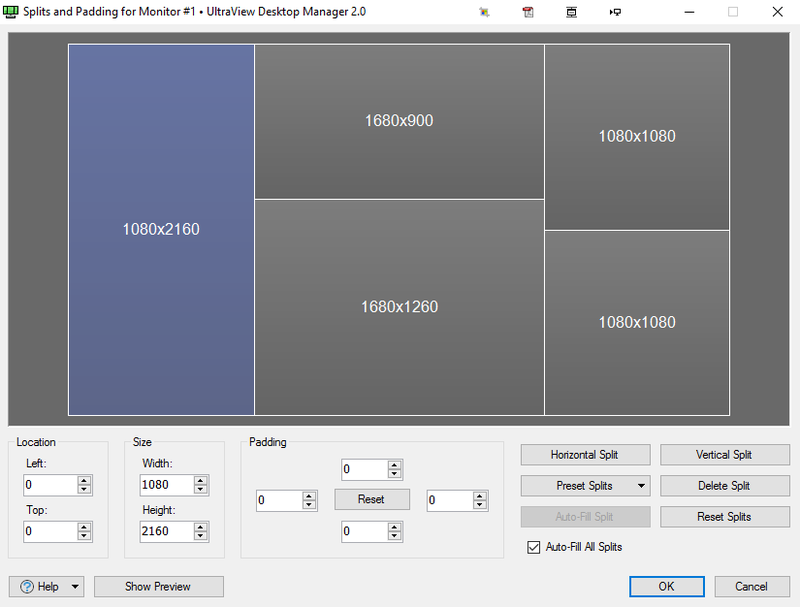 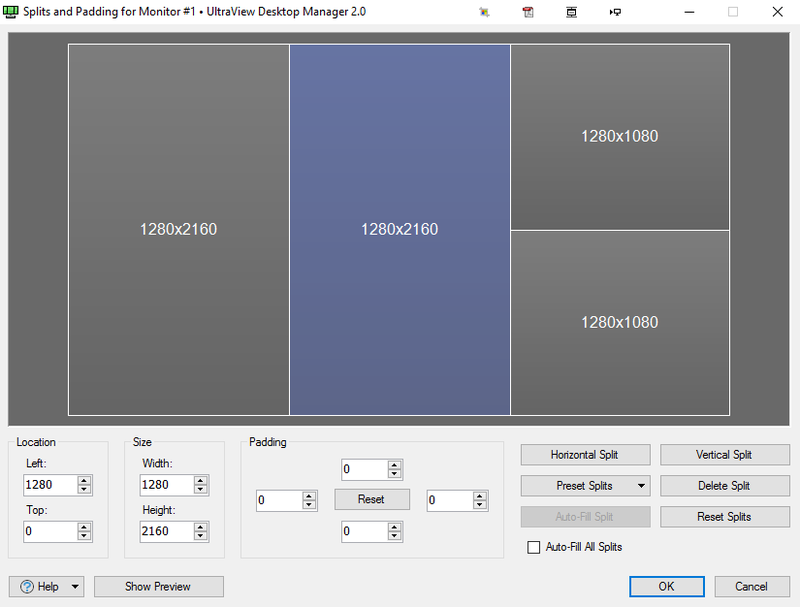 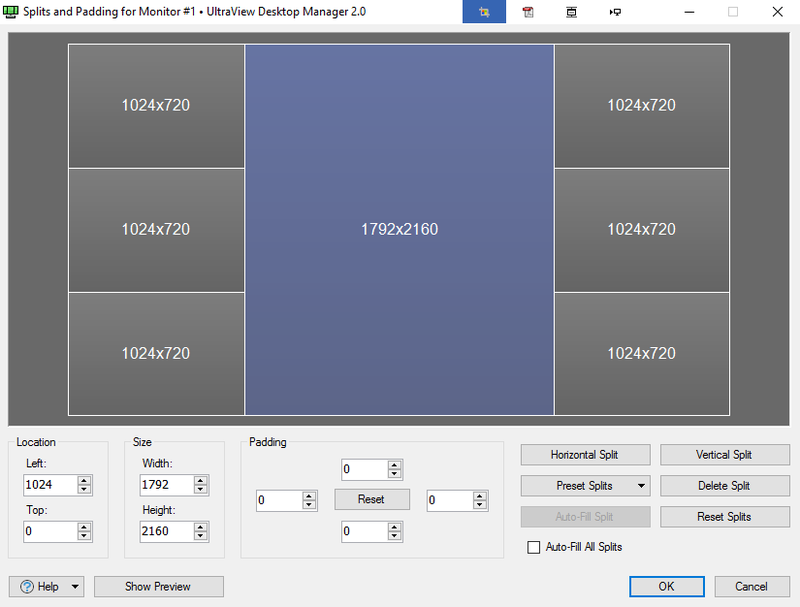 Virtual monitors are created in UltraView Desktop Manager's Monitor Configuration utility. Click on the monitor you want to split, and then click the button "Splits and Padding." Below are 55 examples of layouts you can create on a 4K UHD (3840×2160 resolution) monitor in landscape orientation. Double-click any image to enlarge and see a gallery of layouts for that category.